The Indian women’s team created history on April 8 (Sunday) when they clinched the gold medal in the women’s team event by beating Singapore in the final. Men's team also didn't stay too far behind as they beat Nigeria in the final to present India its ninth gold in the Games. In the first match of the final, Sharath Achanta was off to a poor start as he lost the first set badly 4-11 against Bode Abiodun. However, he made a superb comeback as he dominated the next three sets to eventually win the match 4-11, 11-5, 11-4, 11-9. The second match of the final was similar to first one. Singapore’s Segun Toriola won the first set 10-12 against Sathiyan Gnanasekaran. 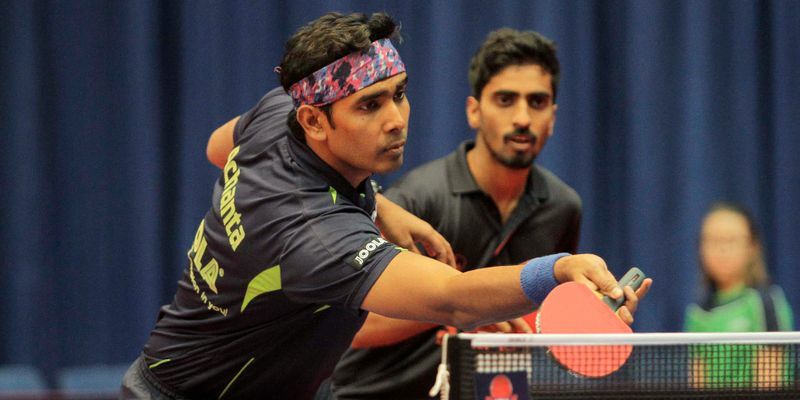 But once again India made a comeback as Gnanasekaran won the next three sets comfortably (11-3, 11-3, 11-4) to give India a 2-0 lead in the final. In the doubles game, Harmeet Desai and Sathiyan Gnanasekaran squared off against Olajide Omotayo and Bode Abiodun. The Indian duo completely dominated the game as they won 11-8, 11-5, 11-3 to help India clinch the gold medal in the men’s team event. This is India’s ninth gold medal in this Commonwealth Games and the table tennis, eventually, turned out to be the most pleasant surprise for the Indian fans.